Richardson fitted professional black umpire cap with embroidered Southland Conference logo. EMBROIDERED ITEMS ARE NOT ALWAYS AVAILABLE FOR IMMEDIATE DELIVERY. 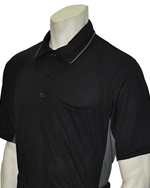 This lighter-weight, pebble-knit professional style shirt lets you look like the MLB umpires with Southland Logo. 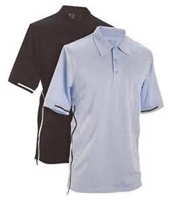 This lighter-weight, pebble-knit professional style shirt lets you look like the MLB umpires.